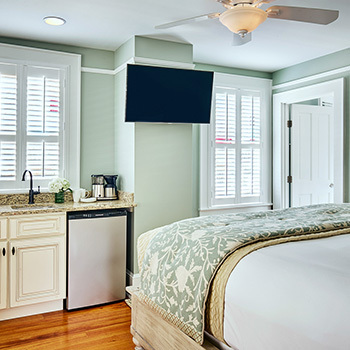 Blending charming historic details with modern amenities, our individually appointed Aviles guest rooms offer the best of all worlds. 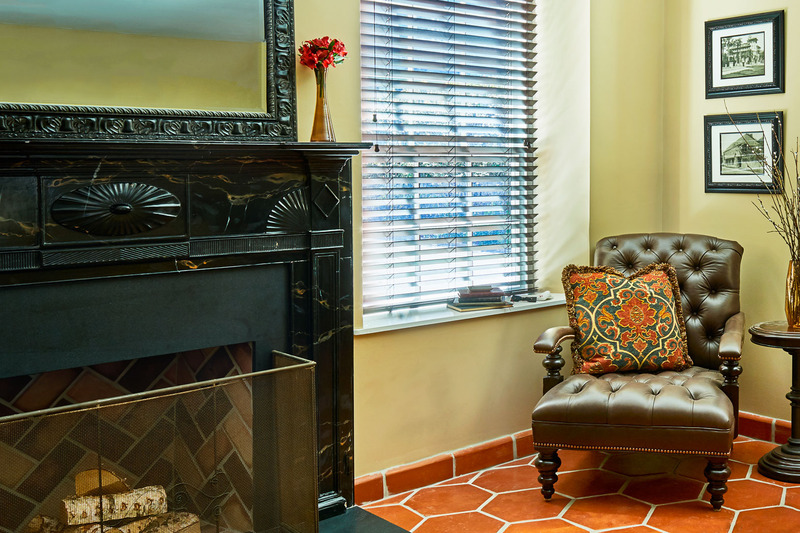 Located in seven of the hotel's nine historic buildings, these rooms range from 216 to 441 square feet and are furnished with either a king or queen bed. Many have restored hardwood or vintage terra cotta floors and stained glass windows. 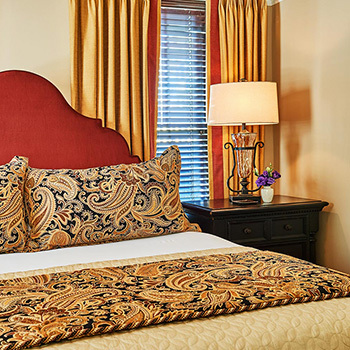 The Aviles Queen guestrooms are charming rooms that blend modern conveniences with historical details. 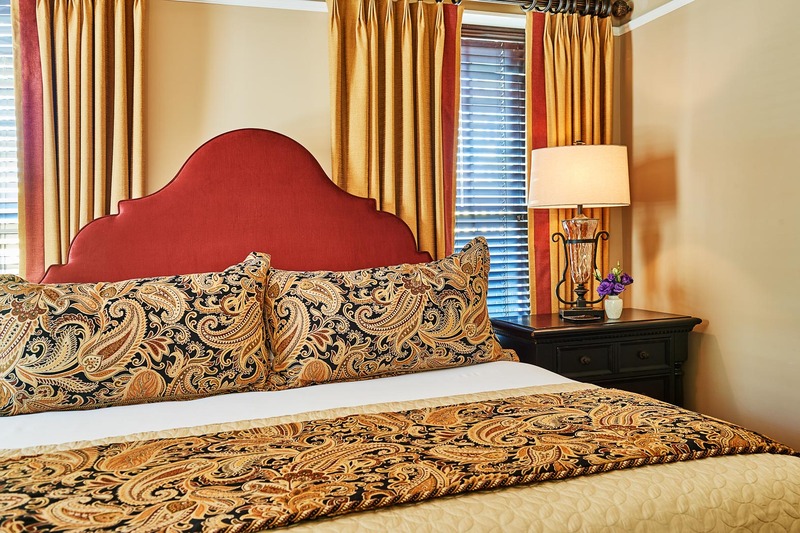 Featuring a triple-sheeted queen bed, kitchenette and sizable bathroom boasting high-end finishes; these guestrooms provide a unique luxurious experience. 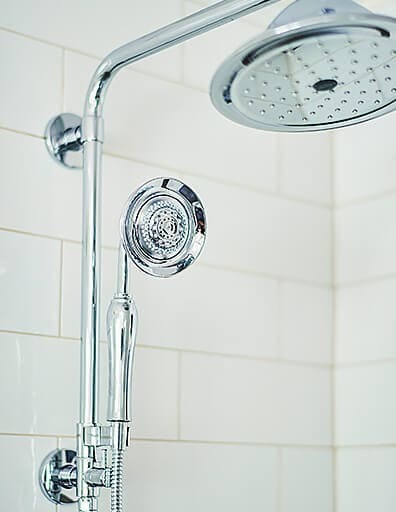 Similarly equipped, the Aviles Queen ADA guestrooms also feature a roll-in shower, convenient access ramp and ADA compliant furnishings. 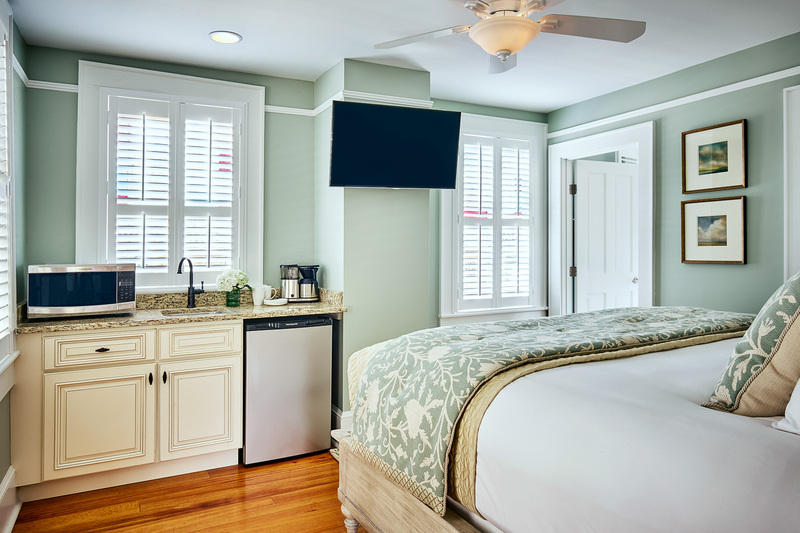 The Aviles King guestrooms include a luxurious triple-sheeted king bed, kitchenette, and boast 18th century restored hardwood floors. 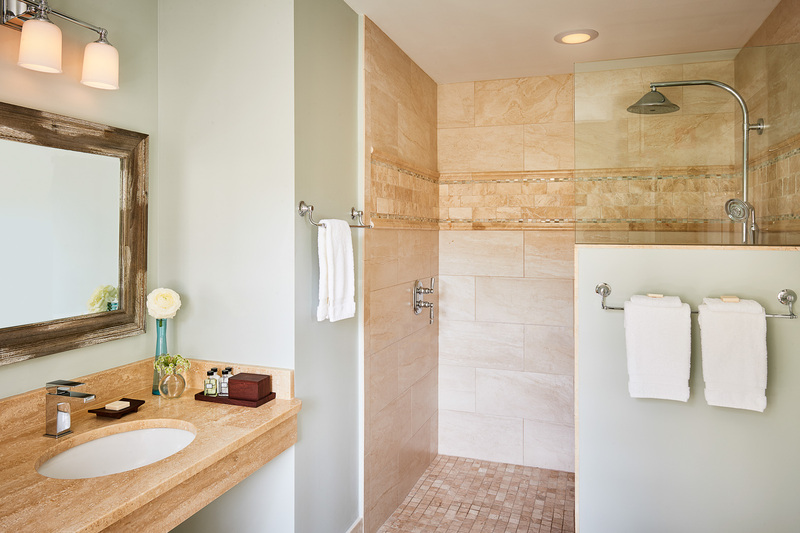 The oversized bathrooms are highlighted by a one-of-a-kind pedestal sink, walk-in shower with rainwater showerhead and luxury bath amenities. Lounge on a tranquil private veranda overlooking the courtyard gardens and surrounding grounds in one of the Aviles Veranda King guestooms. 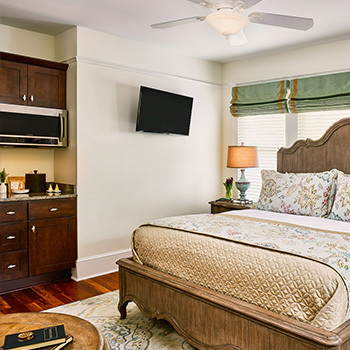 These guestrooms also feature a king bed, kitchenette, spacious walk-in shower and decorative pedestal sink.